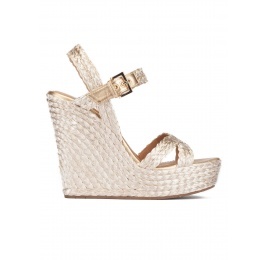 If you have become a big fan of our wedge sandals you can't miss this khaki version of Filipa style. Its green hue is very easy to match, and it is very comfortable thanks to the strappy design and a buckled ankle strap. Reference: AF611 trenza rafia kaki.